USCIS Adjudication of Special Immigrant Juvenile Status petitions and Immigration Court management of SIJS cases have undergone major changes over the last several months. Attend this CLE and update your knowledge to better serve your clients. Part 1: 12 – 1 P.M. This session will provide an introduction to special immigrant juvenile status, including family law 101, immigration law 101, and a review of the new USCIS policy manual regarding SIJS cases. This session is designed to be accessible to attorneys both with and without prior immigration law experience. Part 2: 1:15 – 3:15 P.M. This session will cover emerging issues in SIJS practice, with a discussion of trends in USCIS Requests for Evidence, Notices of Intent to Deny, and Administrative Appeals Office decisions. It will also discuss the differences in USCIS adjudications of cases for juveniles who are under 18 versus those who are between the ages of 18 and 21. Finally, the session will provide an update on federal court SIJS litigation, discuss the visa bulletin backlog for SIJS cases, and offer strategies on how to address the question of employment authorization for pending SIJS cases. 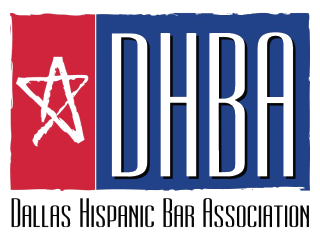 Although this session addresses more advanced issues, it should be accessible to nonimmigration attorneys who attend the introductory session. Part 3: 3:30 – 4:30 P.M. This CLE will provide 1 hour of ethics to attendees. It will cover recent changes in immigration enforcement policy and the ethics challenges they present for attorneys. It will also address questions such as how to handle potential conflicts of interest between SIJS clients and their sponsors, how to answer when a client asks you if he/she should move to avoid immigration authorities, and other issues regarding client communication, informed consent, and providing diligent representation within legal bounds.